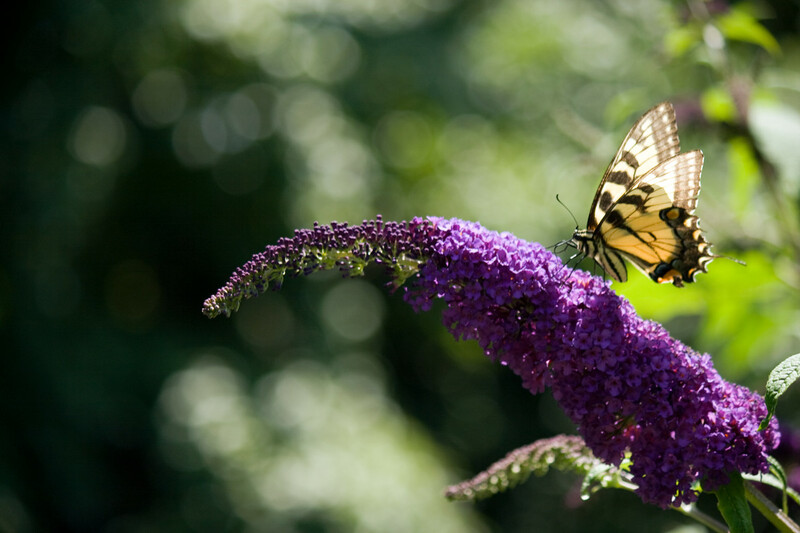 You can attract butterflies and day-flying moths to your garden by growing their favorite nectar-producing plants. Many nocturnal moths feed on the nectar of night-blooming, fragrant, garden flowers. 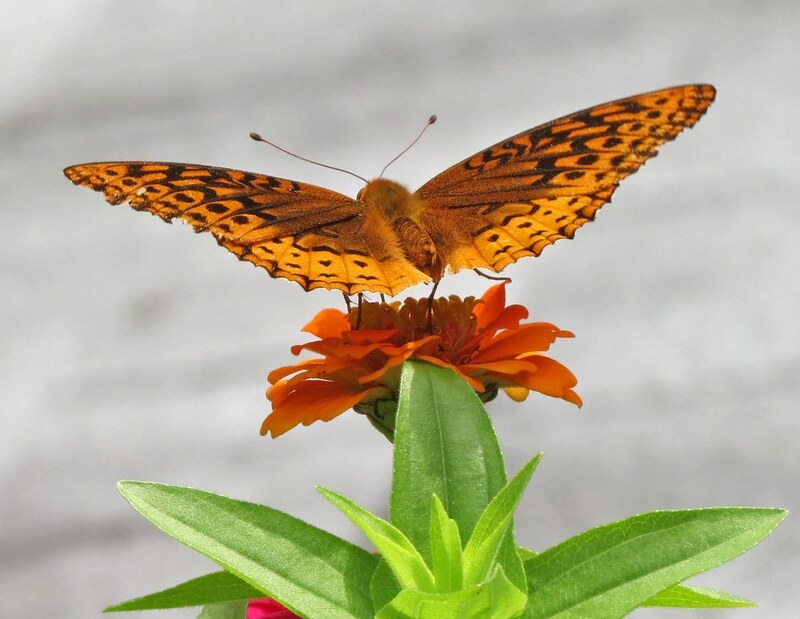 To encourage butterflies to reside throughout their life cycle, to mate and lay eggs, grow plants that will shelter their larvae as well as nectar plants to feed them. Then, you will host these wonderful creatures year-round and reap the benefits of their flitting beauty and pollination activities from early spring until late autumn. Provide stands of fragrant, flowering plants rather than single plants. Butterflies prefer flowers in full sun with shelter from the wind. They find hues of yellow and purple especially appealing. Plants of differing heights will attract the greatest variety of species. While some butterflies favor large flowers, others prefer small. 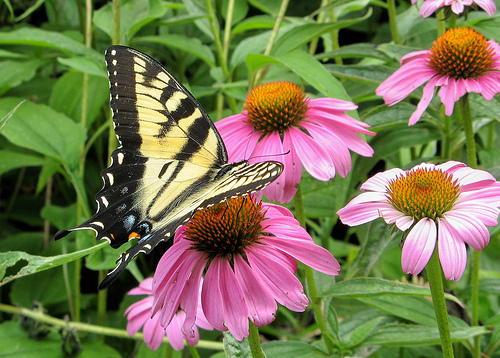 Provide flowers to butterfly visitors throughout the growing season. Butterflies will visit your garden if there is an abundance of nectar plants and certain, specific, larval-host plants. As some species feed primarily on vegetables, you may need extra quantities of these food plants. Natural predators such as spiders, wasps, ants, flies, beetles, birds and small animals work along with the weather to keep caterpillar populations in check. 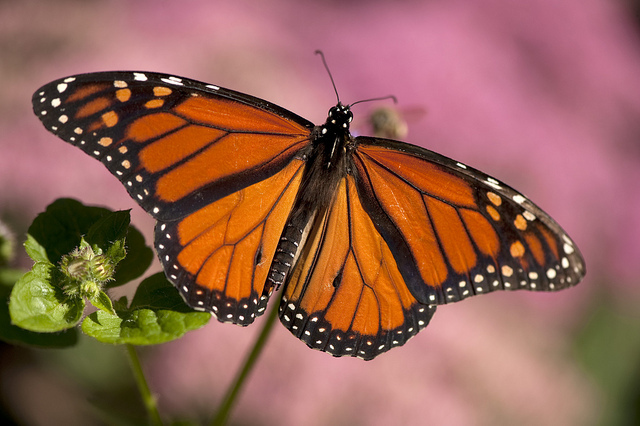 To assure continued generations of butterflies, do not use toxic pesticides. 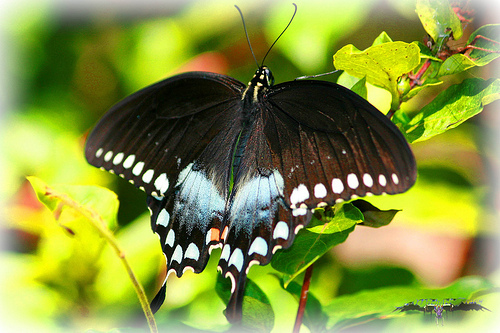 A butterfly's life cycle includes four distinct stages: egg, caterpillar (larva), chrysalis (pupa) and adult. As gardeners, our greatest interest is the caterpillar or larval stage and the butterfly or adult stage. Since the larval stage is dominated by feeding and molting, be sure to have enough food-source plants. When the fully mature caterpillar stops feeding it will search for a sheltered spot to pupate. Most chrysalises metamorphose within 10 to 14 days, although some will actually overwinter in the pupa stage. 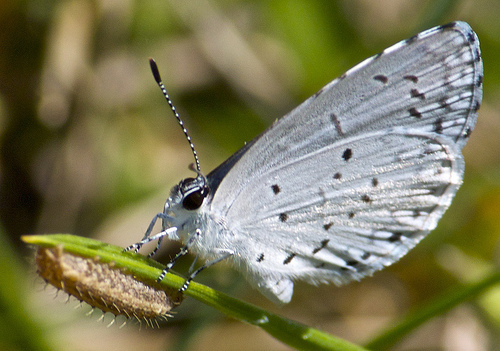 The adult butterfly will hatch in the morning to take advantage of a full day's sunlight. Courting and mating rituals are quite elaborate in some species with courtship "dances" of distinct steps that allow the same species to recognize each other and avoid crossbreeding. Within several hours of mating, the female will carefully scout for the proper food plant that will best nourish her young. Most butterflies lay their eggs on the underside of a food plant leaf, to protect them from sun and predators. Butterflies hibernate in all life stages, with some overwintering as chrysalises, others as eggs or caterpillars. Aim for diversity by including herbs, annuals and perennials; trees, shrubs and vines; native wildflowers and food crops in the parsley and broccoli families. Be prepared to share some of your plants with hungry larvae. There must be sufficient numbers of food plants for caterpillars to foster an adequate population of butterflies. 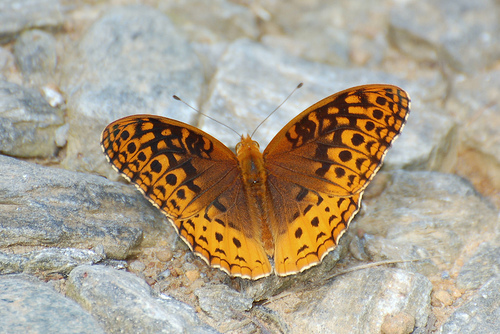 Many adult butterflies need flower nectar for energy. 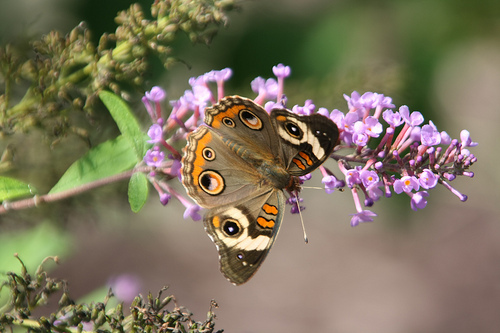 Good nectar plants include aster, asclepias (milkweeds) and buddleja (butterfly bush), as these offer nectar for most of the butterfly species. Non-flower sources of food for butterflies can include rotting fruit, tree sap and animal droppings. Since many larvae prefer to feed on weedy plants, these can be located in remote areas of the property. The caterpillars of most butterflies are not considered true pests to many cultivated garden plants. Wild cherry leaves provide food for the Tiger Swallowtail caterpillars, while Viceroy caterpillars feed on willows. Of course, Monarch caterpillars prefer common weeds in the milkweed family. 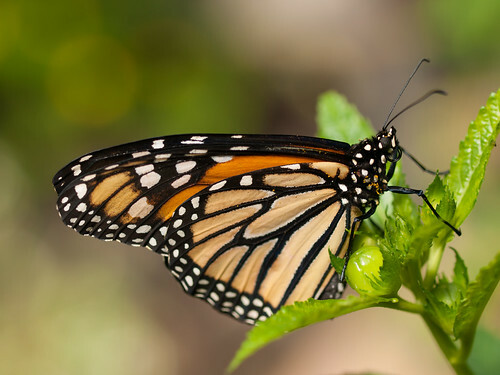 Since they only feed on particular plant groups, most butterfly larvae will not feed on more valuable ornamental trees, shrubs and perennials. Ample sunshine is necessary for butterflies to garner the energy needed for flying. They will also need moisture and the nutrients that accumulate in rainwater. Often, they can be seen gathering in one spot at a mud puddle or along damp stream banks. Provide a water feature such as a fountain, birdbath or mud puddle. Place a few flat stones around, to give them a place to bask in the sun so they can get warm. As their habitat is increasingly fragmented and destroyed, we can play an important role in preservation of butterfly populations by creating the conditions necessary for their survival. Whatever we do to encourage butterflies will benefit other species as well.